If there is one things my friends and I live for it's trying new foods from different cultures. In our long search for a new restaurant in the local area we stumbled upon Mandala Nepalese, situated in the heart of Randwick. We had heard wonderful things about a 'cushion room' and that the prices were certainly affordable. I have to say that I was pleasantly surprised by the quality of the food given that, from face-value, the place looked a little shabby. The service was also impeccable, with the waiters ensuring everyone was looked after. And, because we were a large group of 25, we were given free corkage. That's right, did I mention it was BYO? 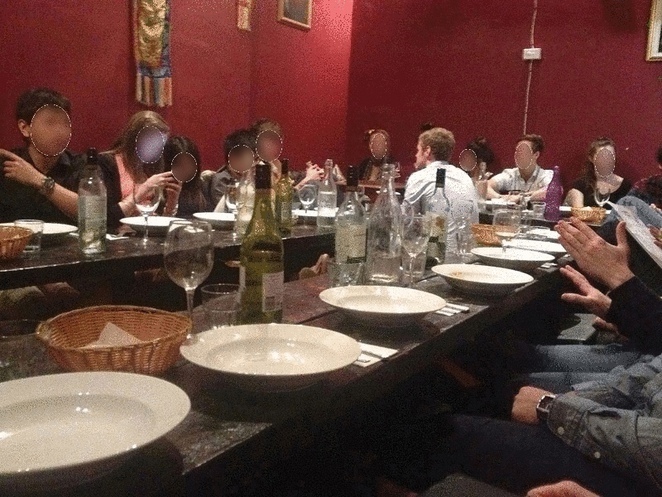 The staff were very willing to do us a deal because we were a large group, leading me to believe group functions could snag up quite a discount. In terms of dishes, the spinach goat was definitely the highlight meal for me, having never tasted goat before in my life! And the garlic prawns had just the right amount of chilli. Entrees ranged from $8-13 and mains from $16-20. Alternatively you can order a banquet with a bit of everything for $34!